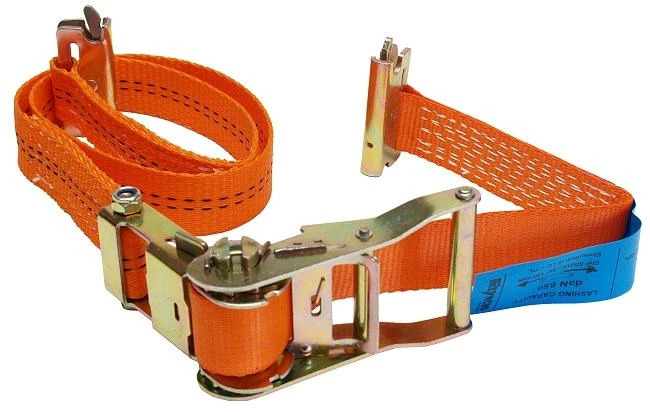 All the straps contained in the Syncro catalogue and described in the cargo retaining accessories section have been tested and certified to DIN EN 12 195-2. As a result, they now all come with the label required by the standard. 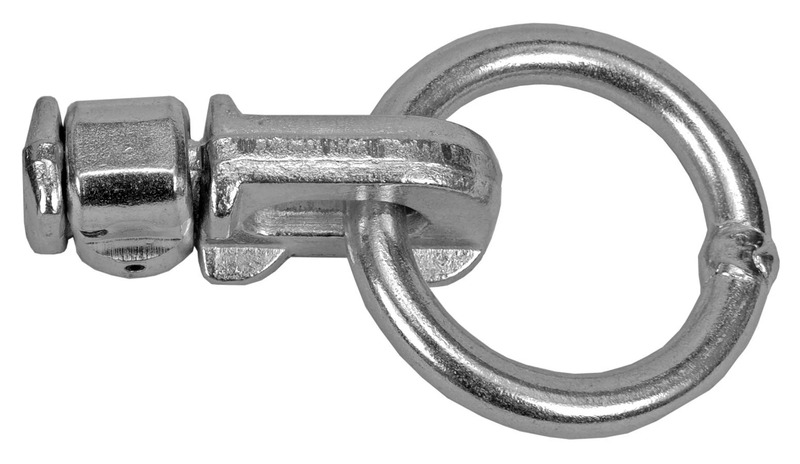 Syncro’s most popular hooks have also been tested, this time according to ISO 27956:2009. 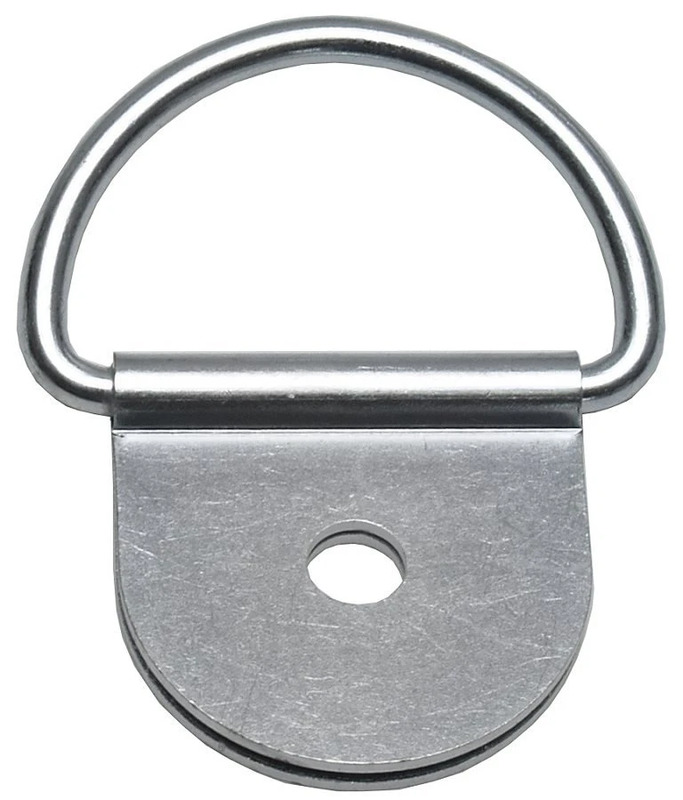 All the hooks tested passed effortlessly, easily demonstrating the required resistance. 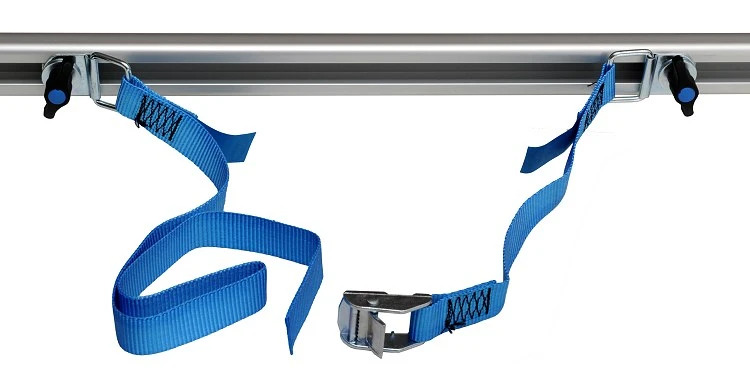 BLUE labels identify polyester (PES) straps, GREEN polyamide (PA) straps and BROWN polypropylene (PP) straps. 1. 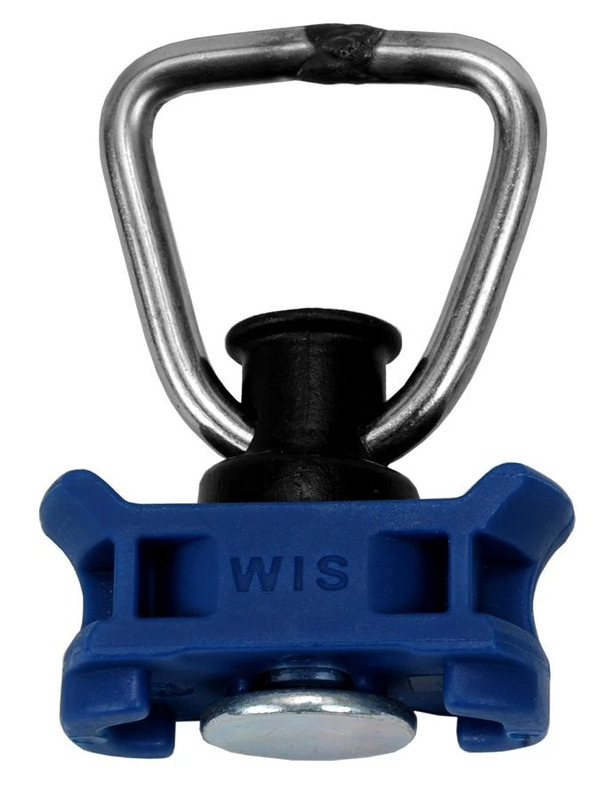 Only use straps that are certified to EN 12 195-2 standard and have a legible label. 2. Only use undamaged straps (not torn, cut or worn thin) in conjunction with undamaged hooks and supports. 3. Do not use straps with knots in them. 4. Keep straps clear of sharp edges. 5. Check strap tension regularly during transport, as vibration may cause straps to loosen over time. What hooks should you use with Syncro straps? Ones that have been tested! The most popular hooks in the Syncro System catalogue, ROTAL-GNC, ROTAL-GNC.AN and GNBG have all been successfully tested according to ISO 27956. This standard establishes requirements and test methods for panelling and attachment points in vehicle cargo retaining systems. The hooks listed above were subjected to resistance testing with a 1000 kg load applied at angles of 0° and 60°, equivalent to a force of 3.5 kN. All of them flew through the tests, demonstrating that they are tough enough to withstand all the stresses you are likely to encounter in a van. Syncro System is totally committed to supplying customers with safe and certified products. Click here to see all the certifications that guarantee the quality and reliability of Syncro System van liners, accessories and racking.